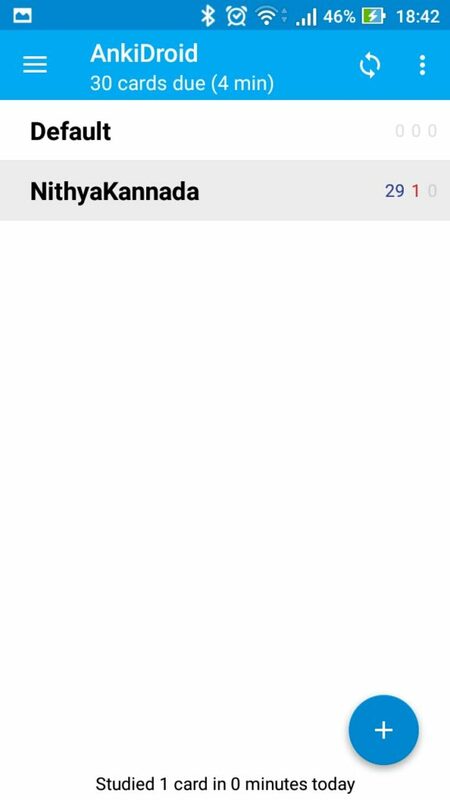 I started Nithya Kannada – ನಿತ್ಯ ಕನ್ನಡ a month back, along with a friend. Nithya Kannada – ನಿತ್ಯ ಕನ್ನಡ is simple and quick learning material to learn Kannada. It’s a collection of audio files. Each audio file is a simple conversation in English and Kannada. 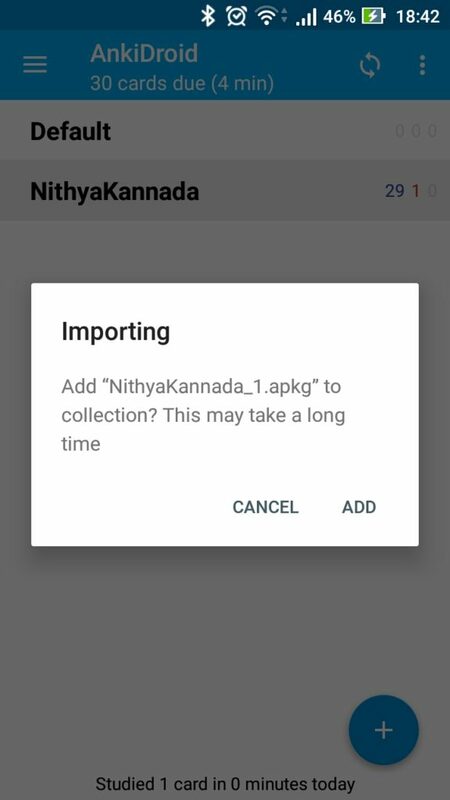 It also contains text in English, Kannada Transliterated and Kannada. Idea is to keep each step under 60 seconds. We publish one snippet everyday. 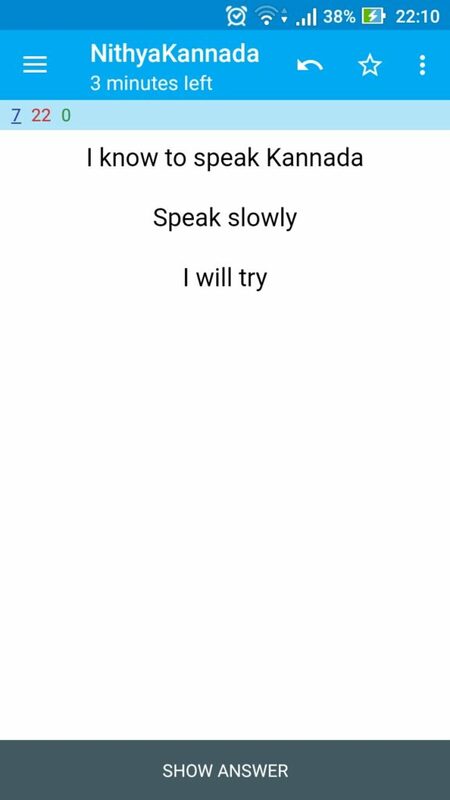 Today I created a flash card version using Anki. So you get to revise them 1 on regular basis. Both Anki storage format and code is open source. You can also create an online account at AnkiWeb if you like to sync between multiple machines. Its not a need but its convenient if you use multiple machines. I am planning to add new cards every month. Watch the project page. Thanks for this! This is extremely useful to learn Kannada and something I wish I had in early days of coming to Bangalore. One suggestion would be to record colloquial usage as well. I found using “Mangalore Kannada” in Bangalore sounds out of place. Keep up the great work!